Using Android Auto™ or Apple CarPlay™ compatibility, the VW Car-Net® system uses your smartphone’s interface combined with that of your Volkswagen model for easier access to navigation around Tysons Corner , safety features, and your favorite music-streaming apps. Stay safe, informed, and entertained with VW Car-Net®. The new VW Car-Net® system combines your Volkswagen vehicle’s technology interface with your smartphone, optimizing your drive. Get access to Google Voice™, your iTunes music library, and your smartphone interface displayed on your dashboard, whether it’s an Android or Apple. Navigation is now accessible on your dash allowing you to easily locate new places to eat around town or receive turn-by-turn directions to any destination you choose. You can also access your contacts, calendar entries, and past locations you’ve been to for a more personalized navigation experience. With smartphone connectivity such as Android Auto™ or Apple CarPlay™, your music, podcasts, audiobooks, and more are accessible from your dash! Also make and receive calls using the voice command controls for a safer, hands-free experience. You can find VW Car-Net® integration for an overall better driving experience in models like the Volkswagen Tiguan, the Atlas, and the Passat. Browse our Volkswagen Atlas inventory, or learn more about the interior features of models like the Passat to see how the VW Car-Net smartphone integration changes your drive. 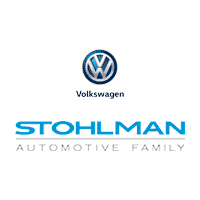 Contact us at Stohlman Volkswagen to test drive a Volkswagen model with the VW Car-Net® features and really see the difference it makes. Visit our showroom to see what else a Volkswagen model has to offer. Learn about the interior features of the Atlas or the performance of the Golf GTI, then look at our online inventory. Once you get behind the wheel of your new Volkswagen, visit one of the best places to eat around Vienna. 0 comment(s) so far on What is VW Car-Net?